I was fascinated to see how the turf had been laid. 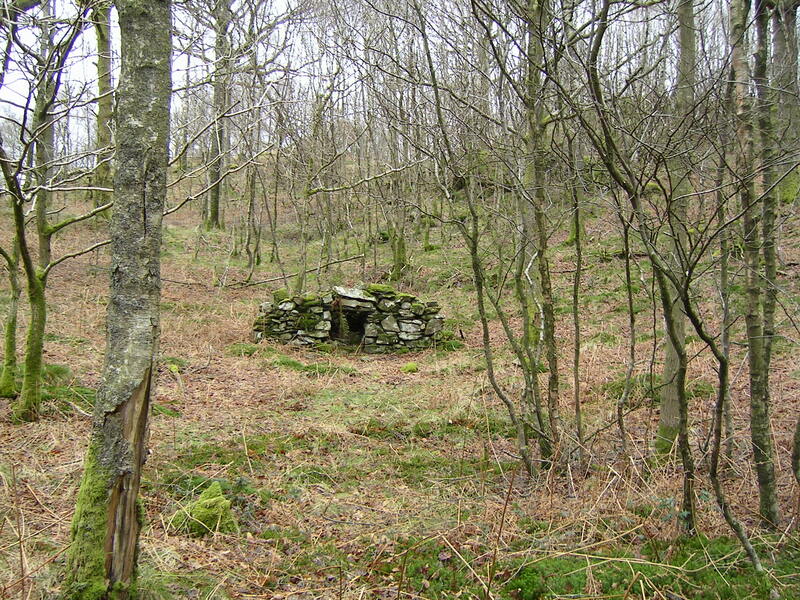 Brian sent a photo of our old film location in the woods, taken about ten years ago, when you could still see the stones of the fireplace once set inside the hut. I remember the fire well. It was very smoky. 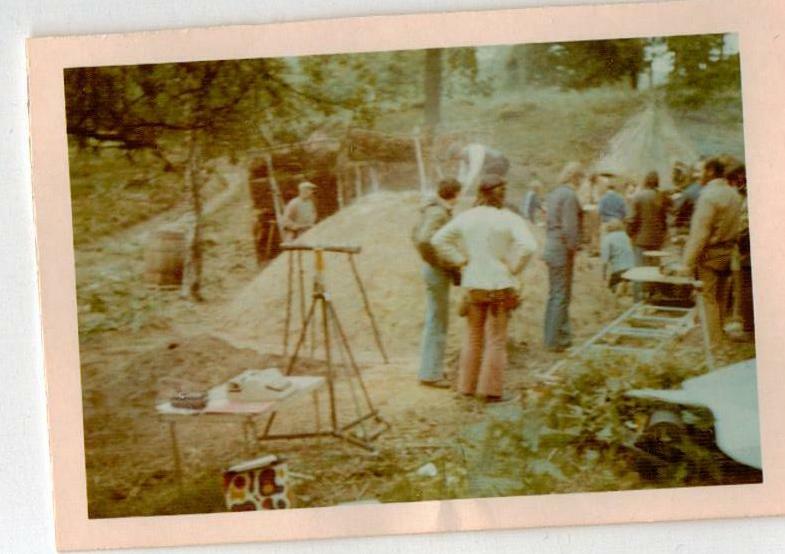 I’ve also found two of my mother’s shots of filming the sequence in 1973 that haven’t been published before. The continuity girl’s typewriter stands on a folding table in the foreground and a section of camera track can be seen to the right. We were busy shooting the scene when the Swallows are being shown the charcoal burner’s adder, kept under the bed for luck. 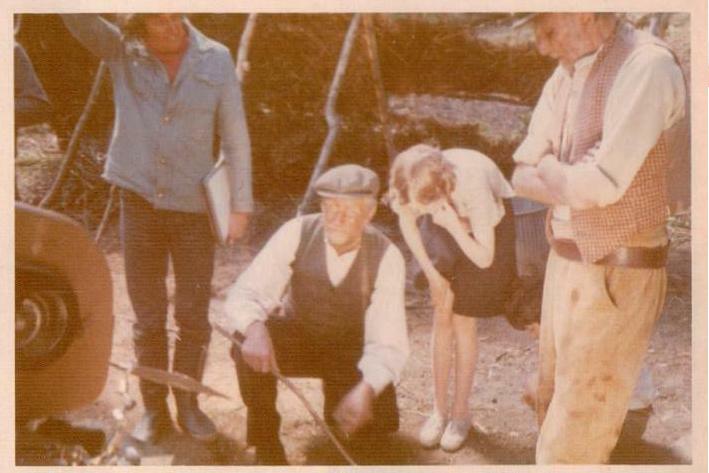 Director Claude Whatham, John Franklin-Robbins, Sophie Neville and Jack Woolgar. The 35mm Panavision camera can be seen to the left of shot. 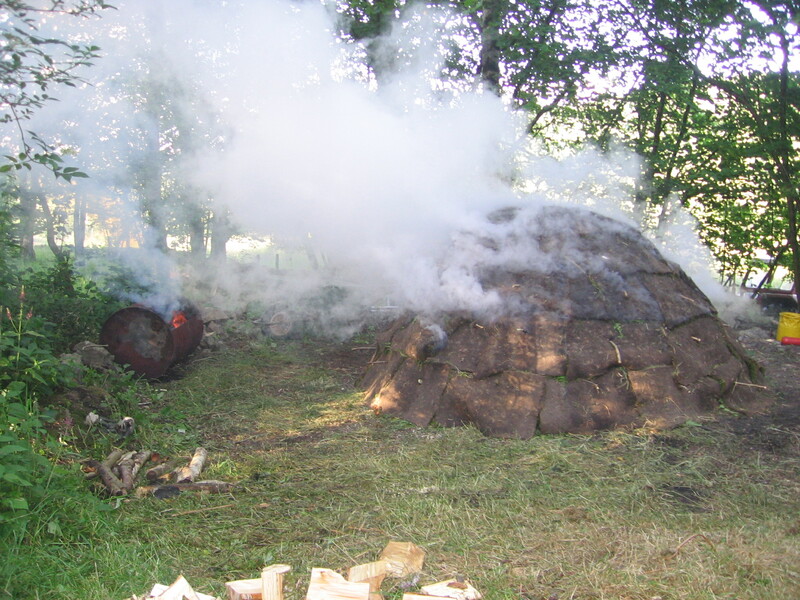 ‘…we still do an occasional traditional charcoal burn in the same area of south Cumbria.’ Brian explained adding, ‘The DVD that I have is also copyrighted but a video of one of my burns is on YouTube and can be viewed via our Coppice Association website. 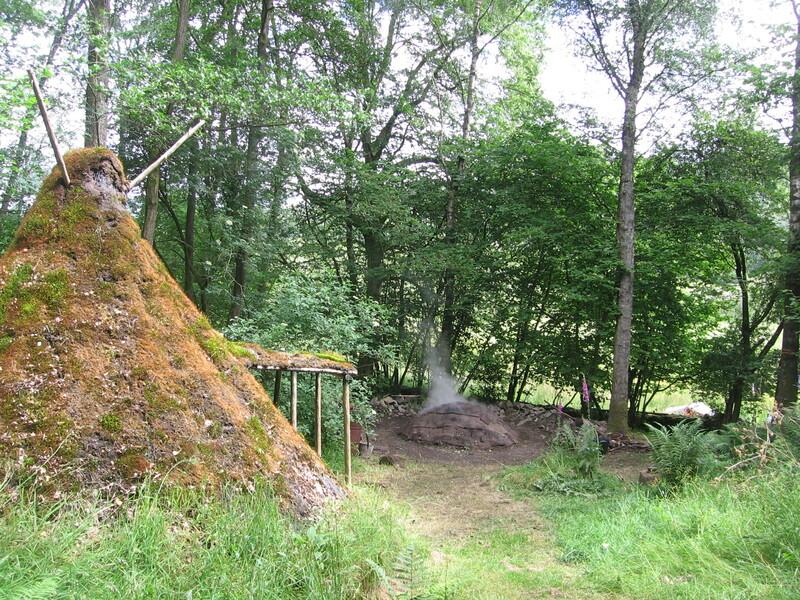 Brian told me, ‘Our next traditional charcoal burn will be done on 13th-15th June this year at the English Heritage Stott Park Bobbin Mill, only a couple of miles from Hill Top.’ A date for the diary. For further details please click here. 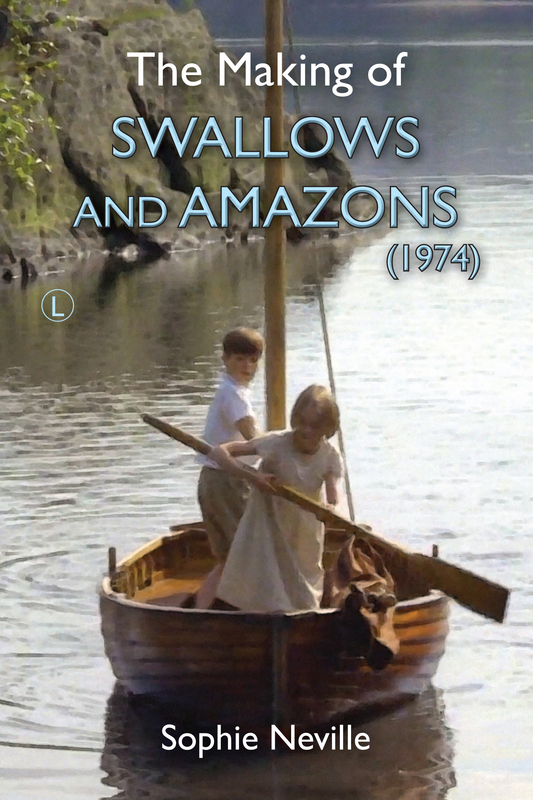 We never know what interesting spin-offs are going to turn up next! This is all thanks to enthusiasts writing in with scans of photos and links. I happened to find two shot Mum took that I hadn’t used before and Stephen Sykes has just come in with another link – all good fun. I’ve just put it together.